Dresses is not usually my strong point – but when I stepped into & Other Stories the other day and spotted this one in particular – it was nothing short of true love. 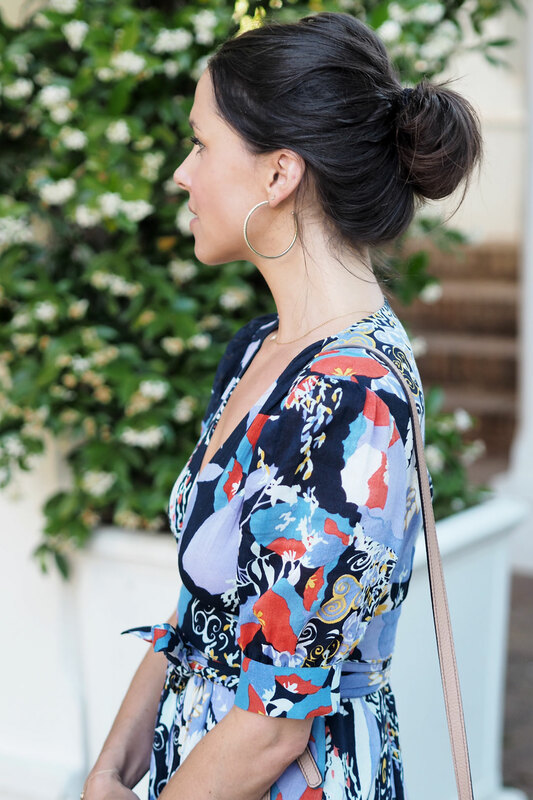 I adore the soft, bohemian graphic floral print – and it just happens to be the most flattering fit I´ve come across in a while (and I´m very fussy with my dresses, trust me). Being honest with you, a floral maxi on a paper, is not something you would ever find in my wardrobe. I can appreciate a really pretty and feminine dress; but I would usually opt for something in more neutral colours, with more minimal lines. 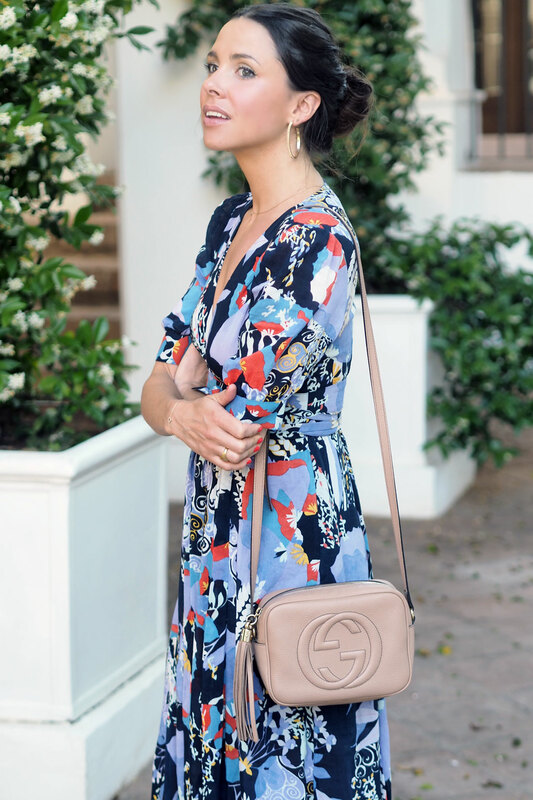 But there was just something so magical about this dress, and in this instance, when styled with more muted accessories, and classic hair and make-up – it´s in my eyes – the perfect summer outfit. As much as I have loved wearing it for a more low-key chic look – it can so easily be dressed up with heels. I would wear this to a wedding, the races, a summer BBQ, casual weekending or even to work. I love the boho vibes with the neutral soft cotton – which also just makes it so much easier to dress up, or down. Love dresses on you Anneli! Especially this one. Ah that is so sweet – thank you! I absolutely love Other Stories except that they don’t fit me! Somehow even their simple stuff looks so gorgeous and your pictures are beautiful. I really liked how you hair is not a complicated style but still different. this dress is stunning on you! any tips on sizing? TTS? thank you so much! !